The buns came out with a nice n’ crispy texture outside, and airy light inside; gave a wonderful nostalgic feel of all those wonderful small bakeries back home! In a mixing bowl, stir the honey, lukewarm water, olive oil, salt and yeast. Let it stand until foamy. Grease and dust a 9-inch square pan. Roll the dough into a log and slice the log into equal sections (around 8-9 pieces). Form the pieces into a ball and place them on the prepared baking tray. Cover with a cling wrap and let it rest in a warm place until double in size. Pre-heat the oven to 170C. 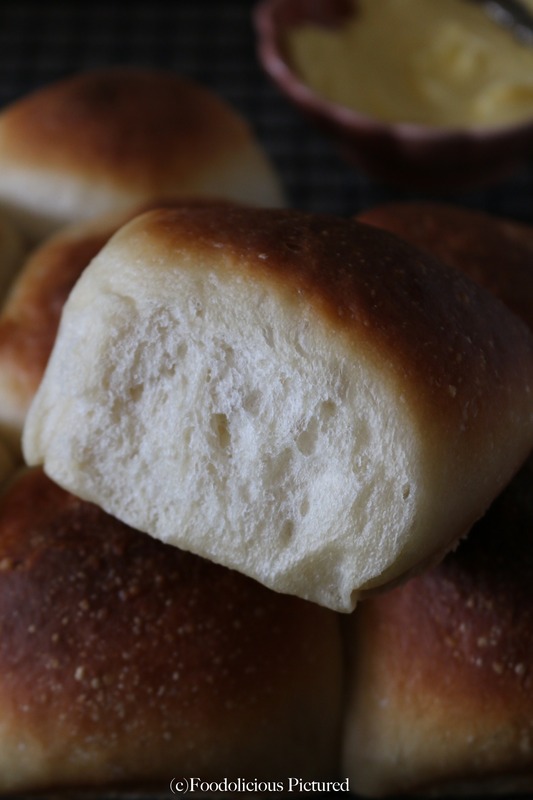 Brush the buns with melted butter and bake the buns for about 25-30 minutes or till the top has nicely browned. Transfer the buns to a wire rack to cool. 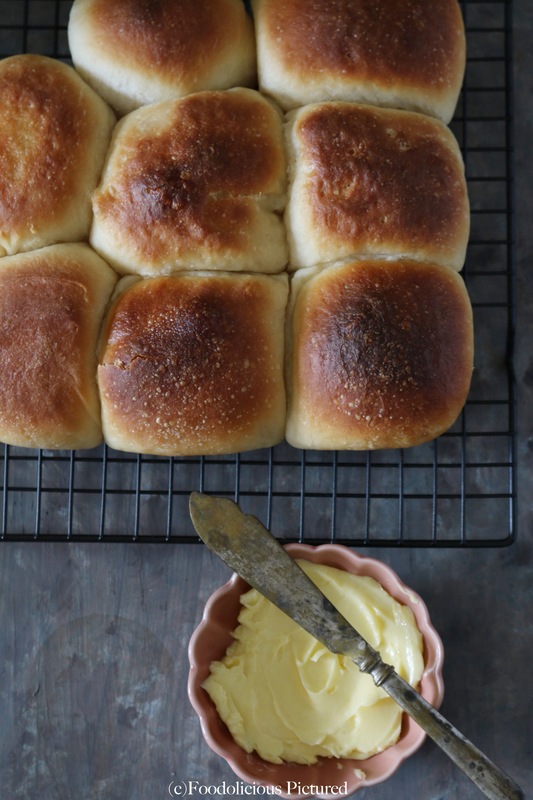 Enjoy the buns with a good spread of butter or your favorite Jam! If the dough is too sticky then add a little more flour or if too dry then add little lukewarm water to get the consistency right. 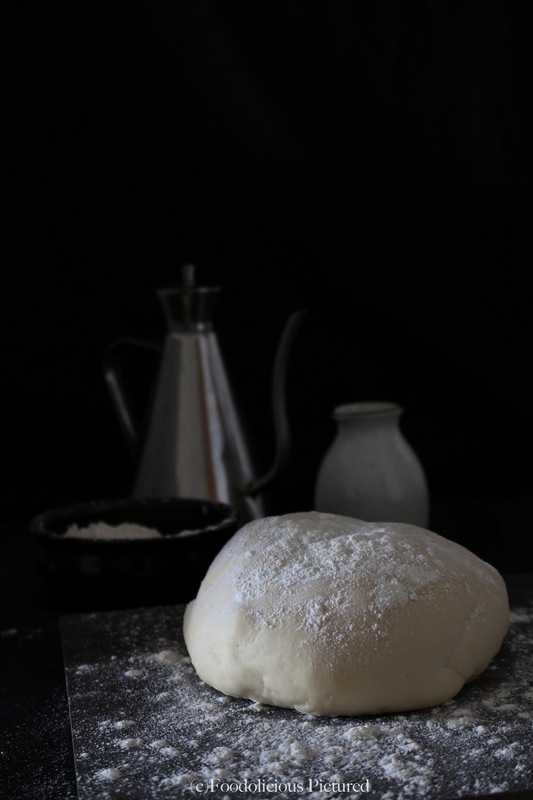 Leave the dough to rise in a warm place until double in size. Oh wow its eggless!! I can try during this lent then… even though it will end within a week :). I will let you know how it turns out. Nice share!